WarehouseNet is a inventory software for inventory, logistic and distribution operation. Extremely suitable for warehouse operation, distribution center, MRP for manufacturer, logistic services and storage operation. Leftover reports with different grouping, by article no, item, brand name, description, supplier and specification, FIFO, storage breakdown, storage charges calculation, low level alert and stock checking by location. Export closing stock report for accounting audit at the year end to save manpower and time to re-type by excel. Expiry date alert avoid expires and waste of day limited items. Storage days report reduced the storage day and hence minimize depreciation percent. Reports on all stock-in and stock-out movement grouping by item, customer, brand name, supplier, delivery order, recipient and job order. Which is used to act as an audit checking against supplier deliveries and customer invoice amount or quantity. Multi languages with Chinese / English Bilingual interface and reports, more applicable for multi-national companies with business association with China. Web remote access feature: maintain operation during outbreak since employee can work away from office individually. Risk management solution for your staffs and business. require microsoft access 2007 runtime to run http://r.office.microsoft.com/r/rlidAccessRuntime Starting from version 4.28 onward user is able to made their own change on the design. please click start > all program > WarehouseNet - Design (shortcut) to open the software in design mode. however, user must have their own full version of MS Access 2007, 2010 in order to do so. 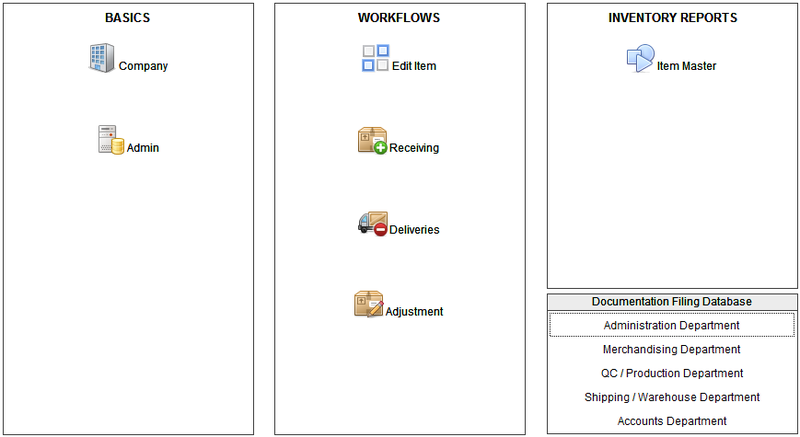 In this case, user can simply change the design layout of all the report or input form format. Whatever field titles, field width, field length, position. may also go with any other MS Access software design.